As a child, growing up all throughout the United States, I developed a deep appreciation for the changing landscapes and the breathtaking variety of color and form present in geography. As a third-generation artist, I was steeped in the principles of visual design and exposed to the vigorous processes inherent in the manifestation of an artistic vision: an unwavering dedication to mastering your craft, a disciplined work ethic, attention to detail, uncompromising commitment to your artistic voice and the willingness to spontaneously act upon unlikely sources of inspiration. Determined to pursue this artistic calling, I acquired undergraduate degrees in graphic design and oil painting. It was then that I nurtured and developed a deep appreciation for orginality; to strive for true expression of my unique artisitic voice. Shortly thereafter I delved into floral design as both a career and an artistic outlet. Wedding floral design was a natural graduation into a more sophisticated and comprehensive application of basic floral design principles to acheive a cohesive artistic vision on a larger scale. There is a zen-like satisfaction to the design of a simple, singular floral arrangement but I am wholly captivated by the holistic conceptualization, planning and execution of an event’s styling and consider event design to be an art form in and of itself. Not only do I specialize in floral design and run-on sentences, but I thrive when oil painting, giving art direction, playing pool, and constructing art installations. 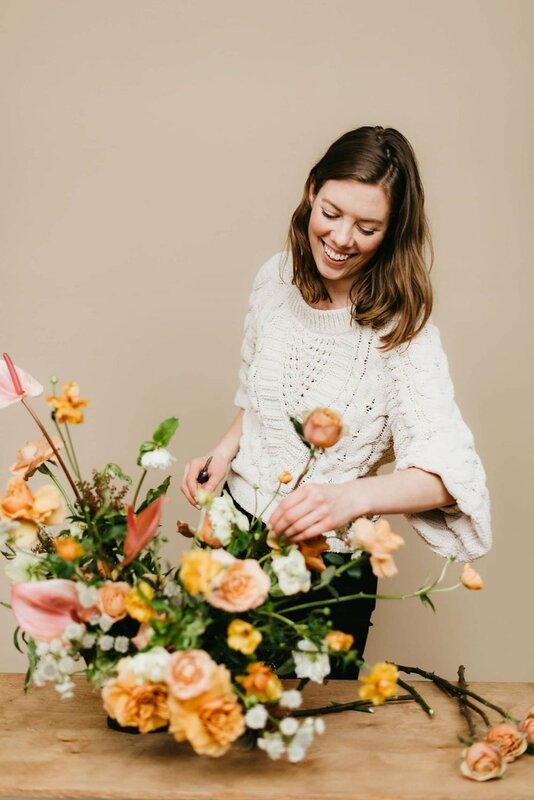 Keep an eye on our Blog for random ramblings and stream-of-consciousness musings on all things related to wedding flowers, event styling, floral design, Portland, and travels around the Oregon coast!